Akash Ambani and Shloka Ambani have made it official! The couple tied a knot last night and the whos-who of Bollywood was present for the festivities. 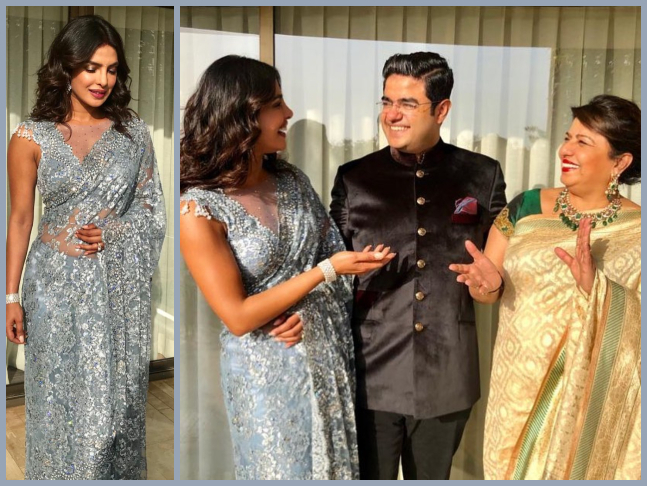 Priyanka Chopra Jonas was a part of the celebrations and you have to see what she was wearing! 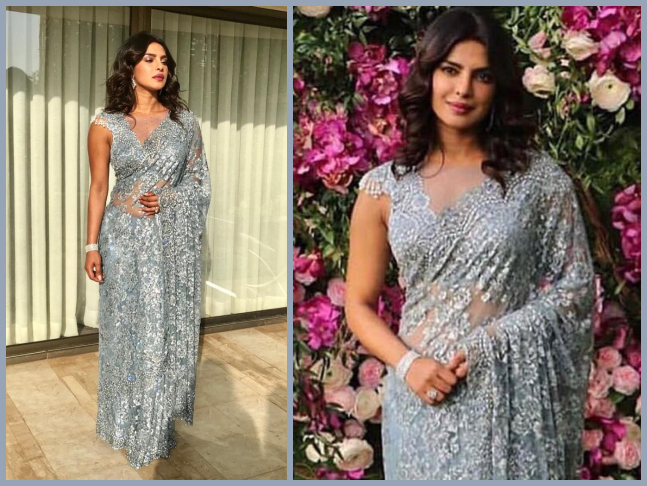 Styled by Ami Patel, Priyanka stole the limelight with this Tarun Tahiliani drape at the soiree. Her look was paired with Stoffa Style heels and jewelry by Mehta Sons and Jaipur Gems.